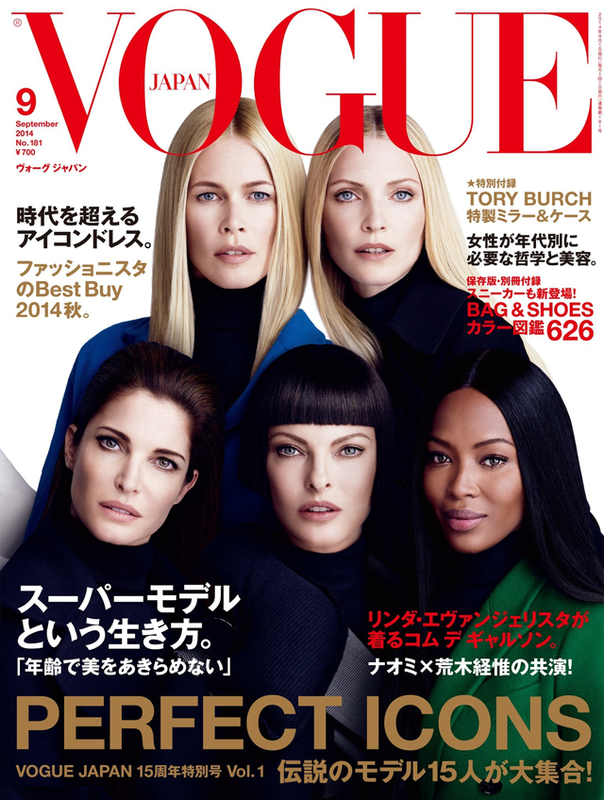 Vogue Japan's September cover is epic: The supers return! Vogue Japan pulled out all the stops, or should we say "supers", for their September cover this year. Claudia Schiffer, Nadja Auermann, Stephanie Seymour, Linda Evangelista and Naomi Campbell are all squeezed into the front cover image. If ever there were a meeting of models we wish had hidden camera footage attached, this is it (well, that and George Michael's Freedom video set). Just imagine the air in the room. Five super model personalities, one cover. Can't you just hear Tyra Banks coaching, "Now ladies, you need to own this cover as individuals. Really make yourselves stand out from the pack."